Product categories of 6x4 Trailer Truck, we are specialized manufacturers from China, 6X4 Trailer Truck, Semi Equipment Trailers suppliers/factory, wholesale high-quality products of Heavy Haulage Trailers R & D and manufacturing, we have the perfect after-sales service and technical support. Look forward to your cooperation! 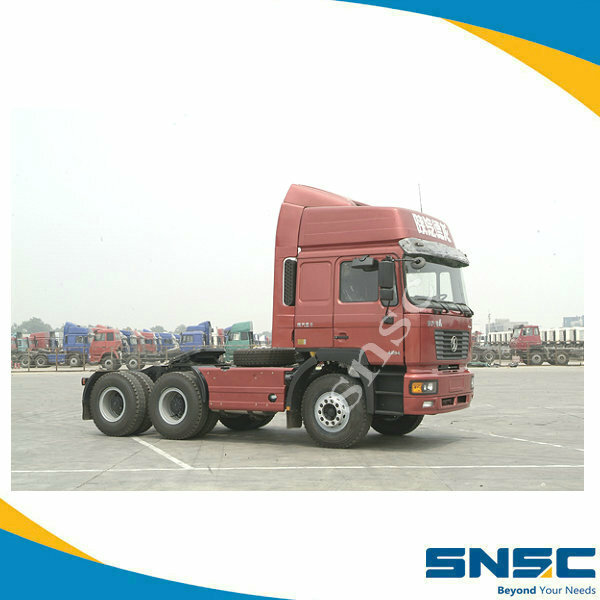 The 6X4 Trailer Truck total has 10 wheels, which of them are 8 Driving Wheels, suitable for pull heavy loads. Mainly pull building materials and other heavy goods. Shacman Trailer Truck with high power engine and high flexibility is a better choice in the Trailer Truck. The trailer truck is simply a large truck (semi-Trailer) which pulled by a tool between the head and freight car carriage. That is, the head of the truck can be pulled out of the original car carriage and pulled out of the other car carriage, and the car carriage can be pulled out of the head by the head of the other trailer truck.